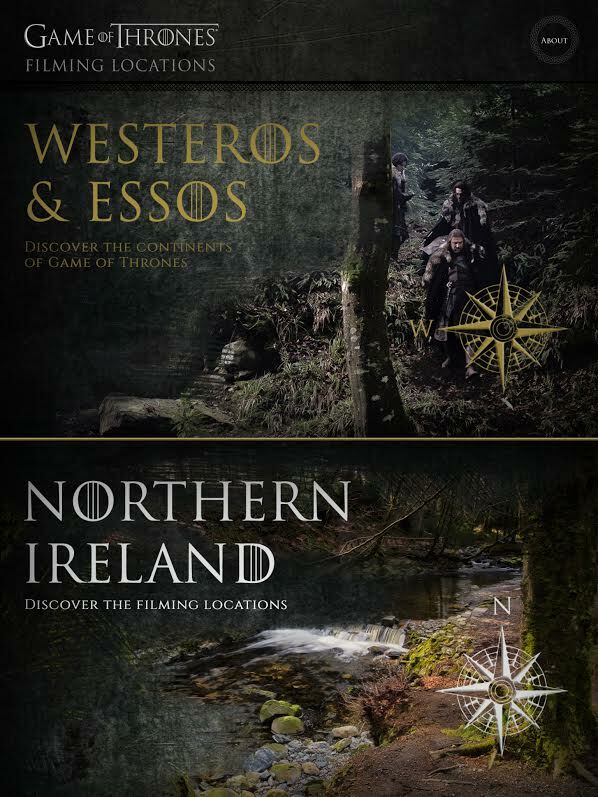 Northern Ireland Screen’s Game of Thrones filming locations app has been updated to include new Season 6 filming locations in Northern Ireland which are accessible to the public. The picturesque village of Carnlough on the Antrim coast makes its debut. The harbour steps are the exact location for a short scene Episode 7 when we see Arya Stark, who has been stabbed by the Waif, crawl out of the river into the streets of Braavos. Also on the app for the first time is the beautiful moorland beneath the striking Sallagh Braes within the Glens of Antrim Area of Outstanding Natural Beauty which was used for the filming location when we witnessed the return of the Hound, who was helping build a Sept. The Causeway Coast and Glens, part of which have become synonymous with the Iron Islands, features once more with new filming locations at Larrybane and Ballintoy beach. Larrybane was the location for the Kingsmoot when Yara Greyjoy made her bid for the Salt Throne, while another Ballintoy beach location was used for Balon Greyjoy’s funeral at sea. The interactive app, which guides fans from around the world to publicly accessible Northern Ireland filming locations used in the epic HBO drama, is available to download free from the App Store for iPhone and iPad, as well as for Android from the Google Play Store. Bridging the gap between fantasy and reality, the interactive maps allow users to flip between the mythical worlds of Westeros and Essos and the Northern Ireland filming locations. Over 25 scenes from Seasons 1-6 are featured on the app, with detailed information on each scene and where it was filmed, as well as official stills from the show. Fans can also experience the beauty of Northern Ireland from their own home as each location features a 360 degree panoramic photograph. The Game of Thrones locations app was developed by The Design Zoo for Northern Ireland Screen, with funding from Northern Ireland Screen supported by Invest NI and with HBO assets used under licence. Further development of the app is planned, including the locations of the 10 Game of Thrones doors which will be supported by Tourism Northern Ireland.